Stunning loft in the historic Daniel's building located in the heart of downtown! Charm and character abound in this unique space featuring exposed brick walls, soaring ceilings with exposed ductwork and original hardwood floors. Open kitchen with large island, gas cooktop, and stainless appliances. Huge private master suite on the upper level has a 5-piece master bath (with steam shower and jetted tub!) & a spacious walk-in closet. Main level bedroom has french doors, walk-in closet, and attached bath, can also be used as an office. 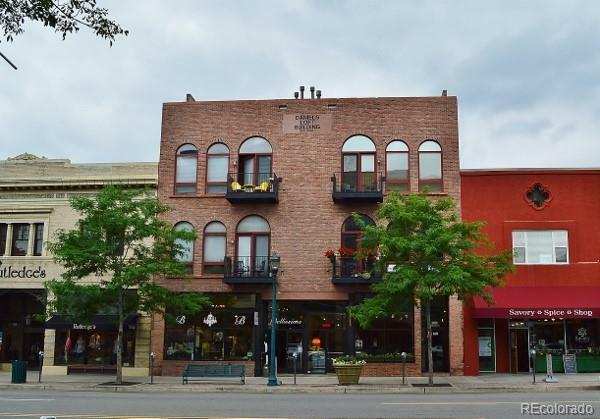 A charming private balcony overlooks Tejon Street!